Who will be the next Philippine President? The decision is yours to make on the upcoming May 2016 election. But I guess It won't hurt if we do it the fast forward way, right? With 7-Eleven’s informal and unofficial presidential poll involving not vote-counting machines but GULP® softdrinks and GULP® juices in fun-colored GULP® cups, you can now promote and support your presidential candidate in a fun way. 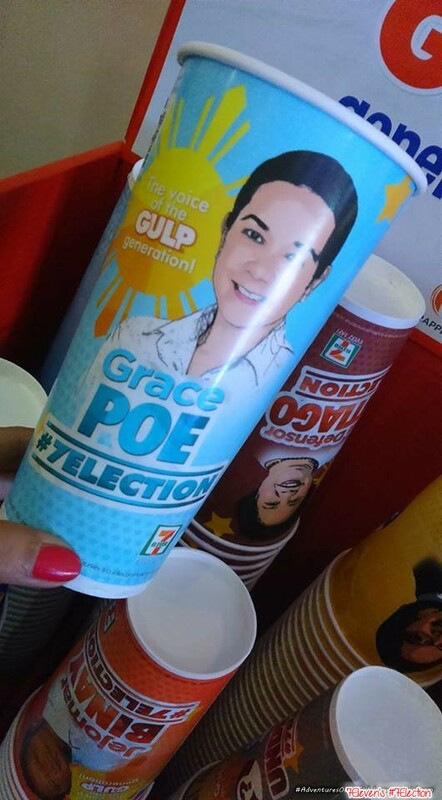 The 7-Election 2016, which mainly aims to promote awareness about the coming Philippine Presidential Election, runs in all 7-Eleven stores until May 2. Choosing the next president of the Philippines is no easy task. It is a crucial decision we, the citizens of this country, have to make. While we all need to be serious and in choosing the President we should vote for on May 11th, in 7-Election, you can have fun while informally participating in the presidential polls. The beautifully designed cups are definitely Instagram-worthy! 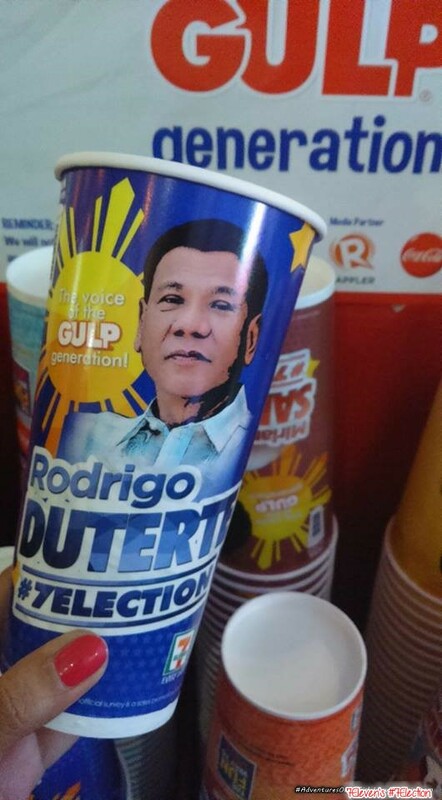 You can campaign for your chosen president by posting your chosen cups in all your social media accounts with the hashtag #7Election. Everyone – minors, foreigners and those who weren’t able to register for the 2016 elections – can weigh in the 7-Election 2016! In this informal and fun presidential poll, everyone has a voice. You can even vote multiple times! With this simple and fun activity, you can encourage – or pressure – your friends to make the choice. It may be a small act, but at least you’re raising awareness for the elections that will shape the future of this country. In this fun and informal poll, you can see how your candidates fare with other 7-Election participants. 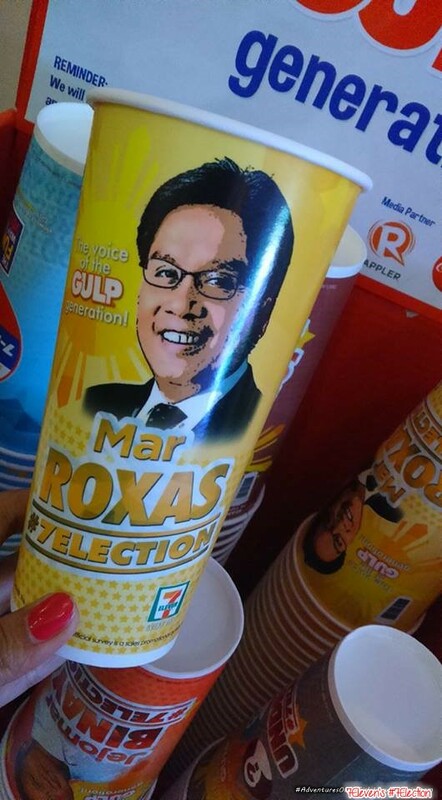 Just visit any 7-Eleven store every Friday as all stores are scheduled to update poll results by then. But if you wish to keep tabs every day, just log on to www.7-election.com.ph where daily updates are posted. This sales-driven presidential poll lets you actually buy your vote. If you want your presidential bet to get a high standing on the polls, you can buy your whole family – even your little kids - cups of the same candidate and have votes counted individually! 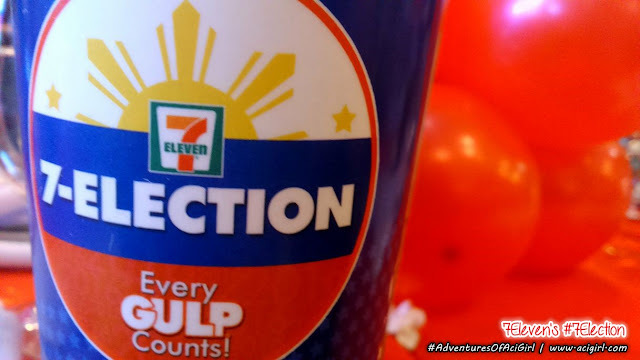 Support your presidential bet in the most refreshing way possible with 7-Election 2016, a totally fun way to vote for your presidential bet using specially-designed 7-Eleven GULP® cups for your favorite drinks. 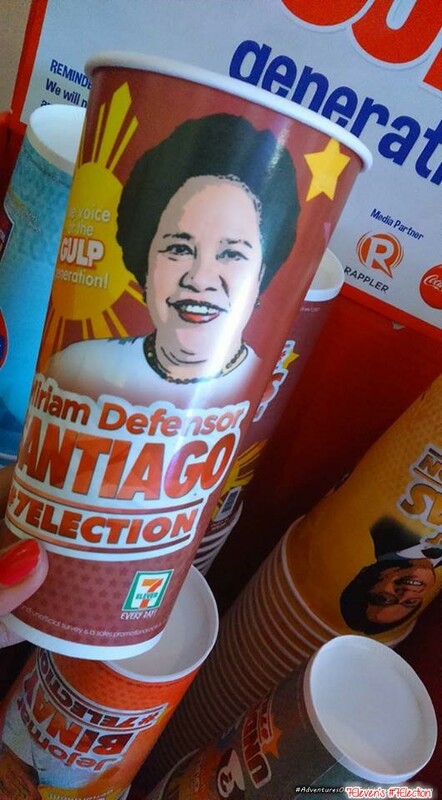 To participate in this GULP® poll, head to any 7-Eleven store, look for the colorful 7-Election cups and choose among the five different presidential GULP® cups featuring the presidential candidates: independent candidate Grace Poe, People’s Reform Party leader Miriam Defensor Santiago, Liberal Party standard-bearer Mar Roxas, PDP-Laban presidentiable Rodrigo Duterte and United Nationalist Alliance bet Jejomar Binay. But for those who are on the fence, your voice can still be heard. 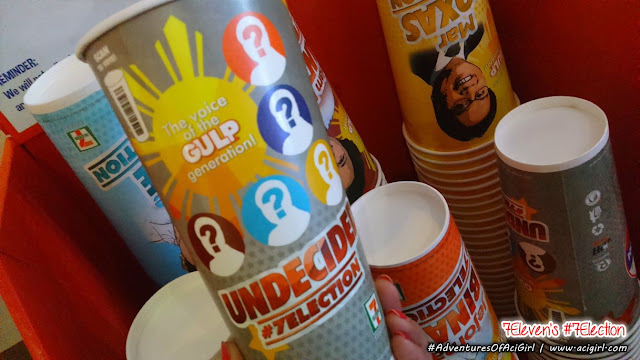 Just pick up the sixth 7-Election GULP® cup – the “Undecided” cup – and cast your vote. Including this option shows how many Filipinos are undecided, reflecting the pulse of the nation. After you’ve made your choice, fill up the cup with either GULP® softdrinks or GULP® juice. 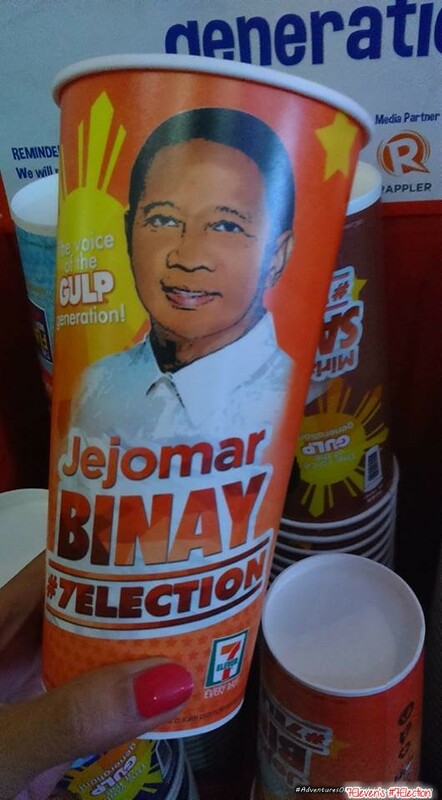 Your unofficial vote is cast after the barcode found in every cup is scanned at the cashier. One (1) scanned barcode equals one (1) vote. 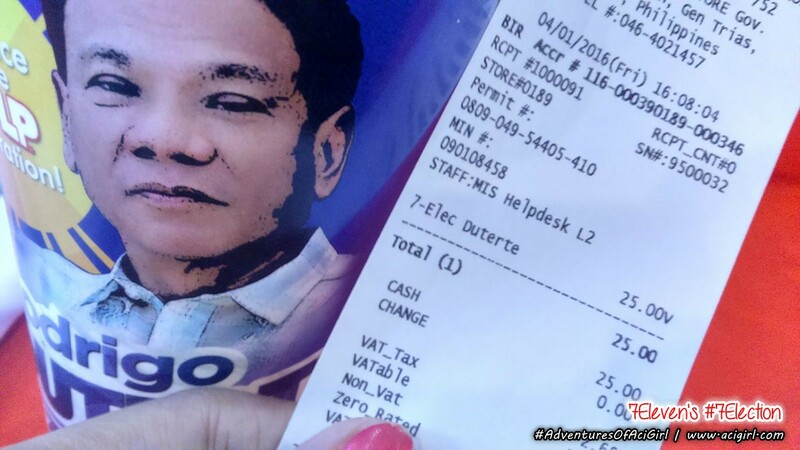 After the barcode is scanned, your vote is counted in that week’s 7-Election poll. But before you leave the store, make sure to verify your vote through the receipt which will reflect your choice. 7-Eleven Philippines pioneered this fun and unofficial poll in 2010 when it successfully predicted the win of President Benigno “Noynoy” Aquino III. 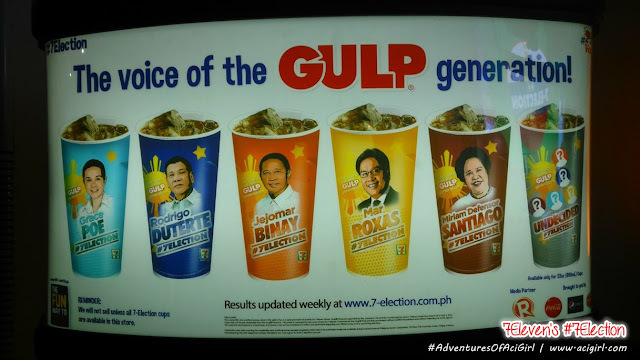 The campaign is inspired by 7-Election U.S. which, through the help of 7-Eleven Coffee, accurately predicted the wins of George W. Bush over John Kerry in the 2004 Election and Barack Obama over John McCain in the 2008 Election. 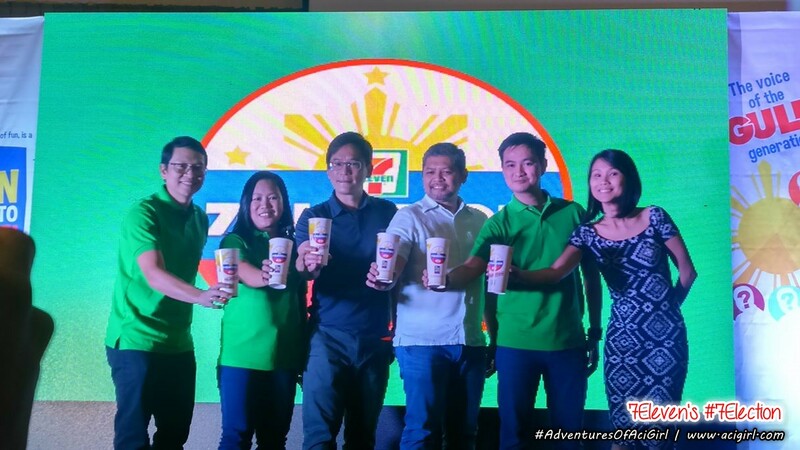 7-Election’s official media partners are Rappler and CNN Philippines.